WASHINGTON — Yet another plastic lumber company is facing a U.S. Federal Trade Commission complaint about recycled content claims. 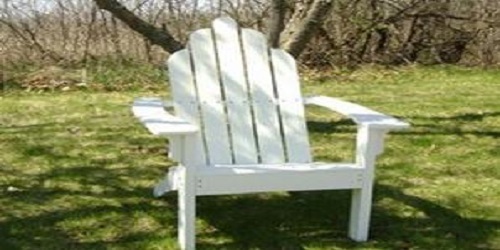 Elgin, Ill.-based Engineered Plastic Systems, LLC (EPS) is under fire for using phrases such as “made entirely of recycled plastic synthetic lumber” and “all recycled plastic design” in the sale and marketing materials for its lawn and deck furniture when, according to FTC, the products are not made of 100 percent post-consumer material. In the complaint, FTC alleges that consumers would likely interpret EPS’s claims to mean that its products are made from all, or virtually all, recycled plastic, when, in fact, the commission found the products made between June 2011 and 2014 were only about 72 percent recycled plastic, incorporating mineral components as well as a small amount of virgin plastic. “Companies know that consumers are increasingly looking to buy products with ‘green’ attributes. But companies can’t sell products by making false environmental claims — that’s against the law,” said Jessica Rich, director of FTC’s Bureau of Consumer Protection, in a statement. The complaint charges that the company made deceptive environmental claims specifically with its Eco, Hexagonal, and Perennial tables and its Garden, Geneva, and Trailside benches. None of these products, FTC alleged, were made of “all or virtually all recycled plastic,” and the company’s claims therefore violate the FTC Act, which prohibits deceptive and misleading advertising. Jack Joyce, manager at EPS, said the wording was problematic for the marketing materials that were supposed to be pointing out that the specific benches and tables were entirely polyethylene, without the metal legs that other pieces of lawn furniture incorporate. “I didn’t get cited for my formula so much as I got cited for semantics,” said Joyce, noting that FTC found no fault with the company’s primary plastic lumber lines, which includes LumbeRock and Bear Board decking components, which is also largely made of recycled high density PE. The proposed order, which also includes compliance and reporting requirements, will expire in 20 years.The terms for EPS are similar to those in the proposed orders following FTC charges earlier this year against several other plastic lumber, including American Plastic Lumber, Inc., a California company that claimed its products were made entirely of post-consumer plastic from milk jugs and detergent bottles but was found last month by FTC to include no recycled material in many products and others containing only 15-percent post-consumer content.